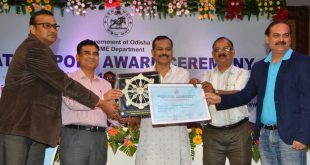 Bhubaneswar: Vedanta Ltd., Jharsuguda bagged two awards at the State Safety Award Function organized by Directorate of Factories and Boilers, Odisha, here on Saturday. 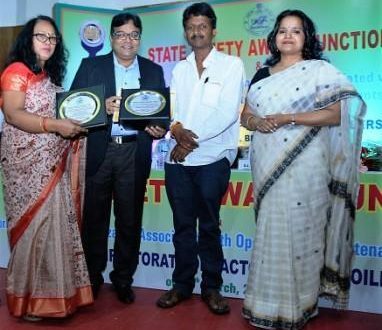 The Jharsuguda unit of Vedanta Ltd bagged the coveted ‘Best Performance in Accident Prevention for Safety Management & Communication for the year 2017’ and ‘Best Occupational Health Care for the year 2015’ awards at the event for excellent safety performance at work. 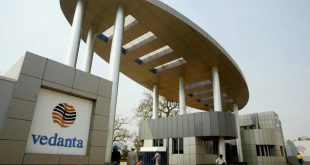 Abhijit Pati, CEO – Vedanta Ltd and Sabita Swain, Head – Occupational Health, represented the company at the ceremony and received the awards from the dignitaries. Labour and ESI Minister Susanta Singh, department secretary Anu Garg, Director of Factories & Boilers Kamalendu Mohapatra, and deputy director Malay Kumar Pradhan present on the occasion.